A Florida sheriff’s deputy may have the last name Coward, but he certainly isn’t one. After Deputy Cameron Coward of the St. Johns County Sheriff’s office spotted a small alligator in a parking lot Tuesday, he took matters into his own hands — literally. Mulligan said that while officers usually call in the local wildlife commission for large alligators, Coward handled the animal himself. 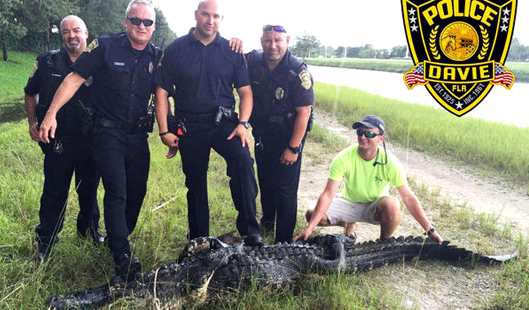 Neither the alligator nor the officer was harmed during the rescue.